Please register here (Doodle) to help us plan for the coffee breaks! “We look with our own eyes, we see with the eyes of a collective body” – With these words the physician/biologist turned philosopher of science, Ludwik Fleck, pointedly summarized the relation between the individual mind and a related thought collective some 70 years ago. This relation has ever since been an inspiring starting point to reflect upon the conditions of doing and being in science, from the coining of the concepts of scientific community and epistemic cultures to the analyses of academic socialisation processes and the emergence of new specialties. But not only did our theoretical conceptions evolve, so did the empirical situation within the scientific world, a change hinted at by some scholars with the new label of ‘technoscience’. The first workshop launched by STS Austria addresses the thesis that it is not only that individual communities and identities emerge and fade away over time; we also observe changes in the general organisation and relevance of community and identity. 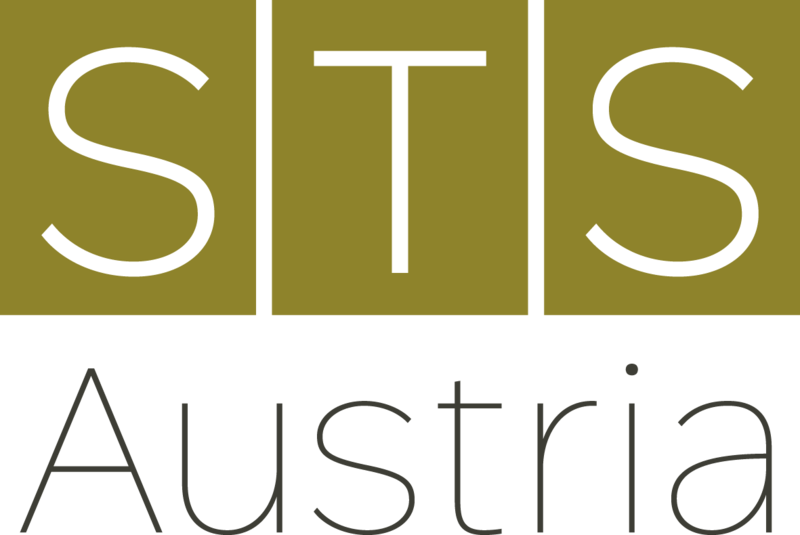 Sponsored by STS Austria together with EASST, Univ. Klagenfurt, Univ. Vienna, ITA/ÖAW and FWF. While workshop participation is only for registered participants (see above), the two keynotes are public and we explicitly invite members of STS Austria, all other scientists and the interested public to join the two keynote lectures! Abstract: In this talk I will explore the emergence of synthetic biology as a (potentially) new scientific field. I draw from the findings of a series of collaborative projects with scientists and engineers to describe some of the shifts in how synthetic biology has been positioned and performed over the last decade. By looking back and also forward, I will discuss the terrain of community making, from inside some of the projects funded to build synthetic biology. In particular, I want to use the motif of scaling-up to highlight some of the challenges to the stabilization and establishment of a nascent community. Abstract: In 1919, the German sociologist of Max Weber famously characterized the vocation of the modern scientist. He promoted an ascetic ideal of scientists whose main pleasure is to be hard on themselves – as they advance the disenchantment of the world, they must hope that their own ideas will be superseded and resist the temptation to lead and inspire, to pursue social values or to make sense of the world. Weber’s view has proven immensely influential on conceptions of scientific objectivity, on the so-called Mertonian norms and the ethos of science, on the political philosophies of Karl Popper and Jürgen Habermas. Not quite a century has passed, and a very different picture emerges when sociologist Steven Shapin portrays the life of contemporary technoscience. He identifies a hedonistic ideal of science. His account is most provocative when he attributes to technoscientists not the virtues of the modern intellect but the magic qualities of pre-modern, charismatic leadership. The lecture will pursue this provocation. This talk will analyse a curious case of how STS has had some unintended consequences in research policy. It has been one of the mainstays of STS since the 1990s to argue in various ways that science is politics by other means, that the distinction between applied and basic research does not hold, or with a historic slant, that research is moving in a direction of transdisciplinary research, where users and policy relevance are always part and parcel of research. The recent Research Excellence Framework in the UK has brought these ideas in a curious volte face of history into a normative framework for assessing research. The precursors of the REF had restricted themselves to judge publications. The REF for the first time judged “impact” of each department. To do so, each department had to submit so-called impact case studies. I will analyze the logic of these case studies and conclude that they constitute a case of turning the logic of STS into a normative logic of judging research, but one based on bad auto-ethnography. Erik Aarden, Ulrike Felt, Maximilian Fochler, Anna Pichelstorfer, Thomas Völker (all Univ. Vienna), Doris Allhutter (ITA Vienna), Martina Merz (Univ. Klagenfurt), Gernot Rieder (ITU Copenhagen). There is no doubt: we live in technoscientific worlds. Scientific knowledge and technological innovations have become key drivers of change in contemporary societies that restructure both our public and private lives. These observations have shaped the intellectual agenda of the interdisciplinary field of Science and Technology Studies (STS) for several decades. As the contemporary preoccupation with innovation brings forth ever new articulations of technoscience (including social sciences and humanities) and society, the underlying core questions have not lost their timeliness and relevance: How do we engage with broader issues of inclusion and exclusion (in terms of e.g. gender, class, culture, disability) associated with technoscientific innovations? How are societal values expressed through – and simultaneously stabilized by – these innovations? What counts as a legitimate setting from which to make knowledge claims in democratic societies? How do our critical methods of investigation translate into methods of intervention? This conference invites participants to restate the issue of what it means to live in technoscientific worlds today. This involves to explore the multiplicity of contemporary sites of technoscience as well as the ways we live with (and through) scientific knowledge and technologies. Rapid change is part and parcel of the technoscientific worlds we aim to analyze. Thus, we particularly invite careful reflection of the positions we think and speak from, both theoretically and methodologically. This conference celebrates the launch of STS Austria, a new professional organization and a sign of the vitality and maturation of the field in this country.